Need a way to wake up in the morning and become energized and ready for the day? 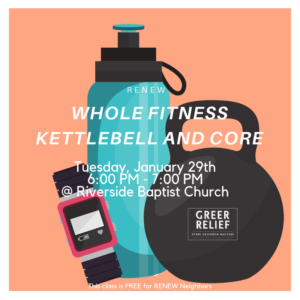 Kettle bell and Core might just be the answer for you! Join Jenn Mair at the Victor Gym for a fun and invigorating class that burns calories and builds core muscle! 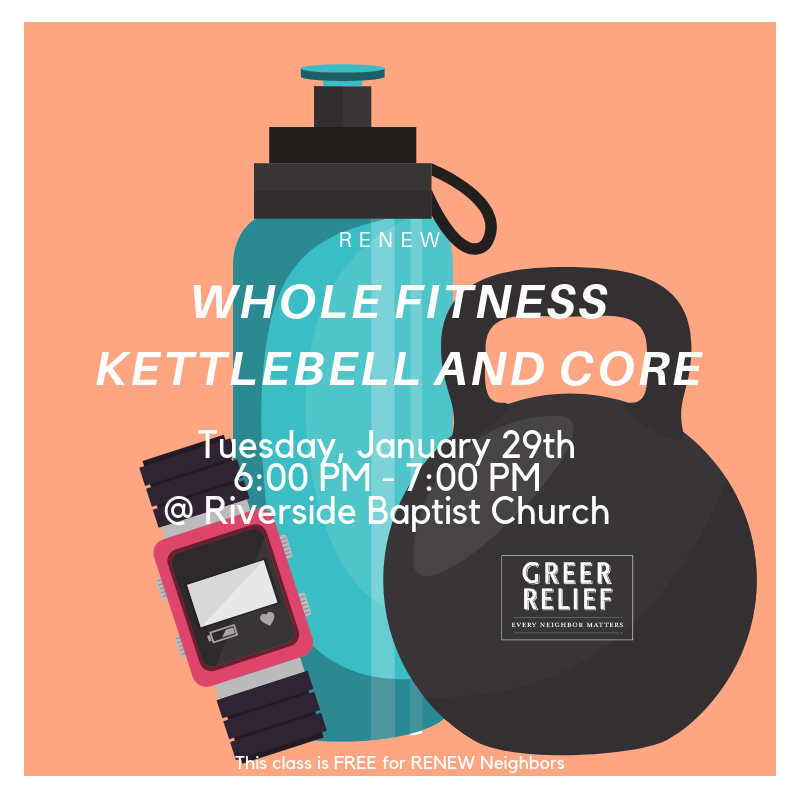 This class will be held on January 29th from 6:00 PM – 7:00 PM at Riverside Baptist Church. This event is FREE for RENEW neighbors. Only participants 18 and older are eligible for RENEW Rewards. Register here.